White poppies needed – calling all knitters and crocheters! 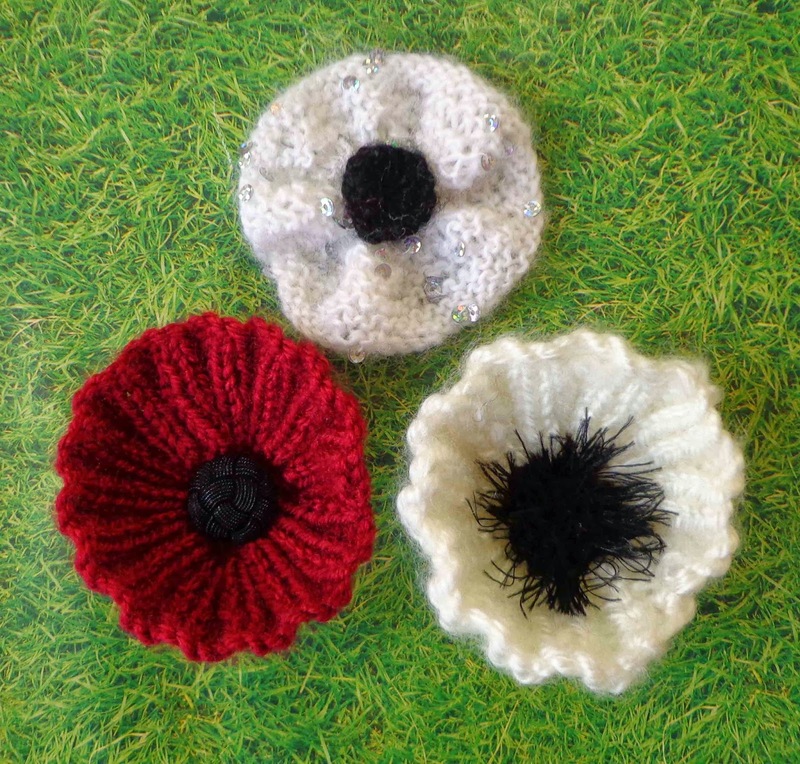 Knitted or crocheted white poppies needed to be part of a display at Kendals Wool Gathering. 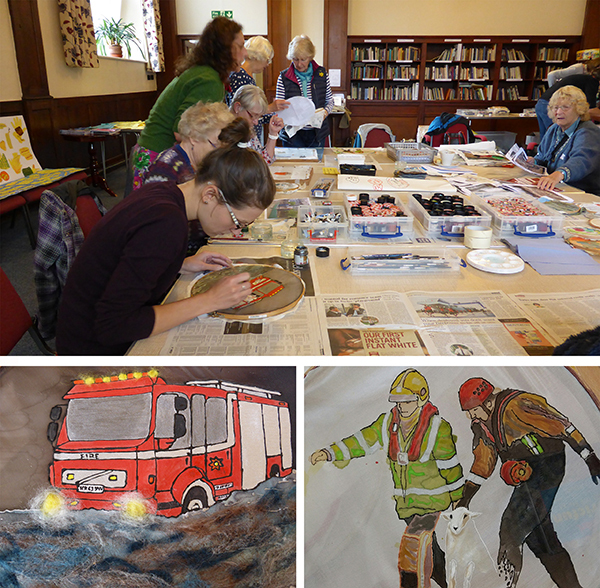 Quaker Tapestry are hoping to have some white poppies in this display. To help get our appeal we have included knitting and crochet patterns (below) in the hopes to inspire you to contributing some. Finished white poppies should be brought to Quaker Tapestry no later than mid day on 28th October 2017. 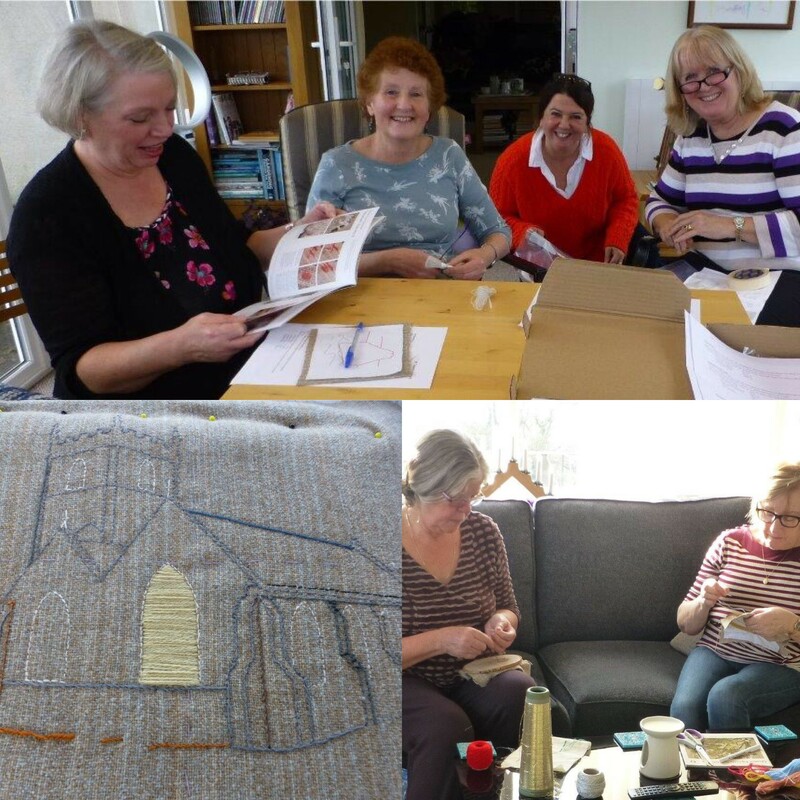 Please share this blog if you know of other knitters! These patterns are designed with double knitting yarn in mind and needle size 3.25mm (imperial size 10) or 3.75mm (imperial size 9). If you have different yarn that’s OK – just use what you have with the right size needles for the yarn you’re using (slightly smaller needles are better). Leave a long tail and thread through the remaining 9 stitches. Pull tight into a circle and secure. Stitch the 2 edges neatly together to complete the main part of your poppy. Leave a long tail and thread through the remaining stitches. Pull tight into a circle and secure. Stitch the 2 edges neatly together and stitch into the centre of your poppy. Ch 3, join with slst to form circle. Ch 3, work 9 dc into the centre of the circle and join with slst. Ch 3, work 1st dc into same st, work 2 dc into each of the next 3 sts. Ch 1 work 2 sc into each st, tie off. Work 2 dc into last dc of previous petal, work 2 dc into each of the next 3 sts. Ch 1 work 2 sc into each st, tie off. Rnd 3: *ch1 3dc in next 2 sts, 2dc in next 5sts, 3dc in next 2 sts,slst in next 2sts. rep from * once again. Fasten off. Attach button in the centre. Add pin.